Designed with baby’s wellbeing and comfort in mind, the Babyrest Baby Ventilated Foam Core Cot Pillow provides maxmium head, neck and spinal support. 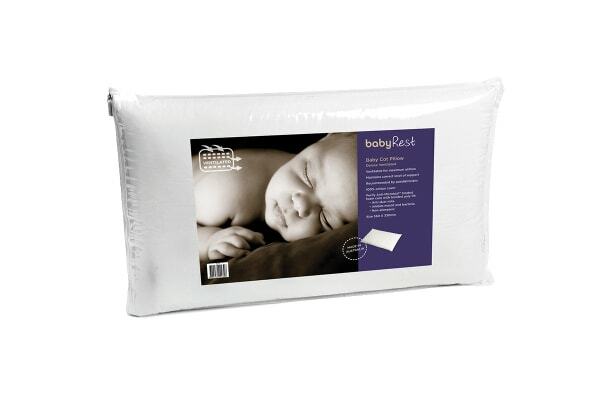 The Babyrest Baby Ventilated Foam Core Cot Pillow has a unique dense foam core technology that provides the right amount of support for baby’s head and neck to ensure correct spinal development. It has a breathable outer layer that offers nothing but comfort to the little one. With PermaGuard-treated foam core, it protects your baby from allergy-related microbes, dust mites and bacteria.